Imagine Dusty Rhodes’ jive-talking pseudo-preacher in the body of Hulk Hogan, and you’ve got Superstar Billy Graham. He bragged about owning the “world’s largest arms” and called them “22-inch pythons” — and those are just two of the 10,000 lines that have been stolen from him by other wrestlers. For better or worse, Graham’s most obvious mark on the business was being the first wrestler to utilize anabolic steroids to create what became the definitive main event look. By his own admission, Graham couldn’t wrestle a lick, but he could do just enough physically to get over the masterfully-crafted character he played. So many have imitated him that it’s hard to explain what made him so special, but he was truly the man of the hour, the man with the power — too sweet to be sour! Even with his lack of visibility within the business since his retirement, Billy Graham is as big a part of modern wrestling as John Cena. The Superstar’s shadow is as long and dark as that of anyone in wrestling history: his promo-heavy, work-light style evolved into the dominant method of storytelling in Vincent K. McMahon’s WWF, and by extension 21st century “sports entertainment.” In fact, despite a sometimes tepid relationship over the last 20 years, McMahon still honors Billy Graham’s legacy every time an announcer opens their mouth on TV, as the term “Superstar” (in lieu of “wrestler”) comes from Graham’s ring name. Graham was decades ahead of the industry in terms of character. From Hulk Hogan to Jesse Ventura to Scott Steiner to Triple H himself, nearly every muscle bound superstar has spoken at length about how Billy directly influenced their looks, attitudes, and careers. 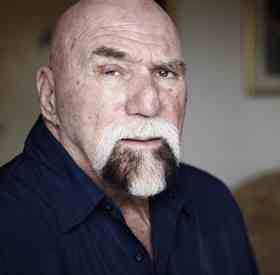 Hogan, the most important star in wrestling history, has said that he decided to become a wrestler after going to a wrestling show with his father and seeing Superstar Billy Graham perform. Being ahead of his time had its consequences though, and it is widely rumored one of the reasons Bob Backlund became “the man” instead of the Superstar was that Graham was deemed to be a “cool heel,” something that Vince McMahon Sr. knew would upset the clearly-defined structure of wrestling. Twenty years later, the NWO and DX dominated the wrestling business doing precisely that. A one-time WWWF (World Wide Wrestling Federation) Champion, Graham’s title reign — he held the title for about 300 days — seems lengthy to us today, but it pales in comparison to the runs of the two men who bookend him: Bruno Sammartino and Bob Backlund. In interviews, he’s said repeatedly that dropping the title to Backlund ruined his confidence, as he felt that his character was hitting its stride right when the brass ring was snatched away. He left the WWF and bounced around the territories. His workload dropped off to almost nothing in the early 80s after he began suffering due to his longtime steroid abuse and possibly the early signs of Hepatitis C, which he believes he contracted in the 70s while sharing blades in the ring, a common practice in the pre-AIDS wrestling world. When his health improved, a now-skinny Graham returned to the WWF and had an unsuccessful run at the still-reigning Backlund, then disappeared as quickly as he had resurfaced before a run with the then-standard bearers of the NWA, Jim Crockett Promotions. He bulked back up, adopting the look known by most current fans: shaved head and bleached mustache. While he was still Superstar Billy Graham, he didn’t quite seem the same. His promos, while still a cut above almost everybody in wrestling, seemed to be at half the speed and intensity that they had in his prime. His health problems, while arguably self-inflicted, had not only drastically changed his appearance, they had dulled his razor-sharp personality. At the height of Hulkamania, Graham returned to the WWE as a babyface almost a decade after Vince’s father had denied him the opportunity. Ravaged by steroids, Hepatitis, and a hip replacement in his early 40s, the Superstar had very little left in the tank by 1986. He retired in ’87 following a feud with “The Natural” Butch Reed, transitioning into managing with Don “The Rock” Muraco, another wrestler known for his stunning, anabolic physique. Superstar Billy Graham, one of the most influential wrestlers in the history of the business faded out not with a bang, but a whimper, as failing health limited him and a major falling out with Vince McMahon over the early 90s steroid trials made him a leper in the business for over a decade. 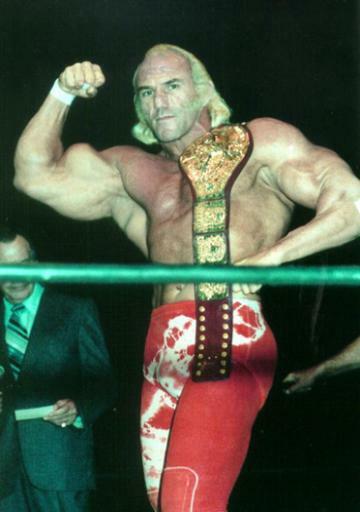 Despite his relatively short run at the top of the wrestling world, Superstar Billy Graham contributed more to our modern conceptions of what the “main event” is more than almost any other wrestler in history. His promos talked people into the building to the tune of 19 sellouts in the 20 times he headlined Madison Square Garden. His musculature created what became the main event look that, wellness policy or not, persists as the ideal to this day. In short, he was a pioneer of what we now call the WWE style. He is the Superstar.